In addition to the Donor Advised Fund and BGV Gives’ major initiatives, Breckenridge Grand Vacations has awarded major gifts directly to organizations who have demonstrated their strong need for funding to accomplish large positive change in Breckenridge and the surrounding communities. In 2015, Breckenridge Grand Vacations donated $1 million to establish an Endowment Fund at The Summit Foundation. The Summit Foundation is a community foundation dedicated to improving the quality of life for residents and guests of Summit County and neighboring communities. On January 10, 2015 more than 1,000 people attended the grand opening of the BGV Community Center and South Branch Library. 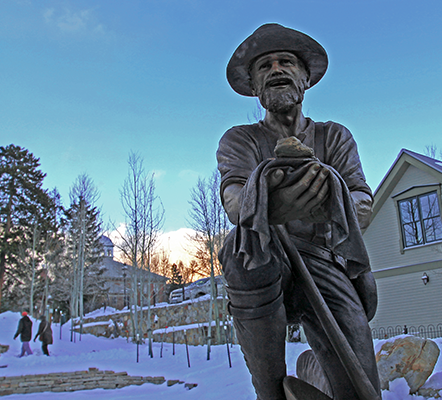 The grand opening was the culmination of 16 months of work to restore the former Colorado Mountain College building into a new public space for all of Breckenridge. 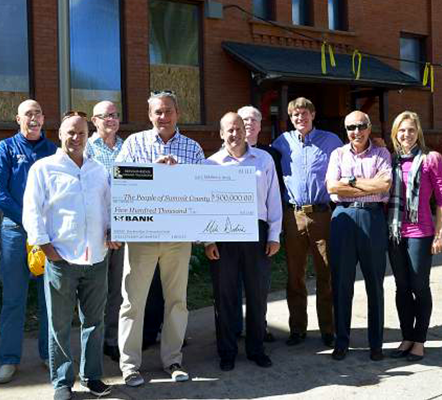 In keeping with the mission to focus on health, human services and education; Breckenridge Grand Vacations donated $500,000 towards the rehabilitation of the historic schoolhouse building on Harris Street creating a community center, housing the Breckenridge branch of the Summit County Library, offices for a number of nonprofit organizations and the fully renovated Speakeasy Theater. Prospector Park, a pocket park on the north side of Main Street, opened on November 11, 2015 and includes a fun playground for children and a brand new sculpture called “Tom’s Baby.” Mike and Anna Dudick provided the funding, which enabled the Public Art Advisory Committee of Breckenridge Creative Arts to commission the sculpture. “Tom’s Baby”, the largest crystallized gold nugget ever found in Colorado, was discovered in 1887, weighing in at 13.5 pounds and is currently on display at the Denver Museum of Nature and Science. In 2015, Breckenridge Grand Vacations employees contributed $45,891 towards the Employee Assistance Fund. The Employee Assistance Fund was able to help 18 employees and their families who were in need of financial assistance. The Breckenridge Grand Vacations Employee Assistance Fund was formed by employees with the purpose of providing financial assistance to employees and their immediate families in the event of an emergency, misfortune, or other unforeseen financial burden where the need for assistance exceeds all resources reasonably available to the employee. Breckenridge Grand Vacations employees are very committed to the conservation and sustainability of the town they live in. 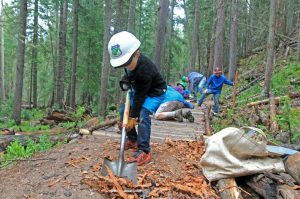 On four days each year, employees partner with the Adopt-a-Trail Program of the Friends of the Dillon Ranger District to work to maintain the Peaks Trail that begins just behind Grand Lodge on Peak 7, with 40-50 employees participating annually. 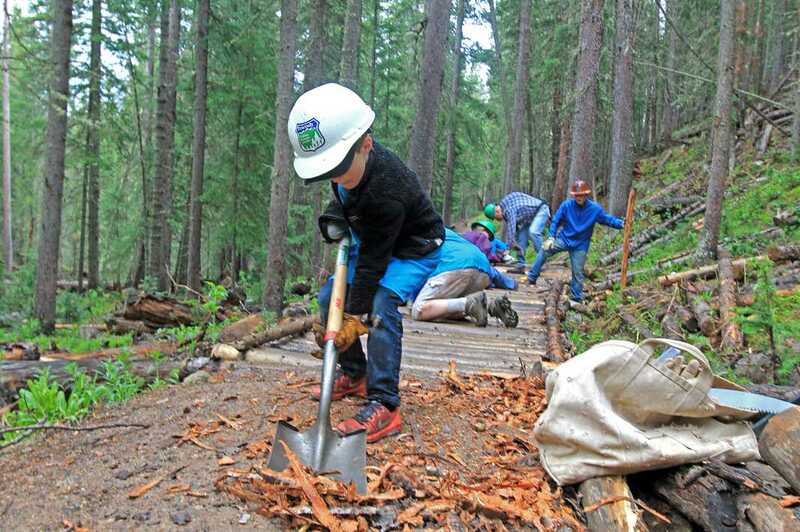 Since 2011, BGV has donated $15,500 to FDRD to support this trail preservation work.